The maximum suggested daily dosage is 2000mg. Athletes will often take two split dosages of 500mg-1000mg taken 30-60 minutes prior to exercise. When used for nootropic benefits most people take the tablets first thing in the morning. Dosages and dosing schedules for heart problems or brain circulation disorders will vary. Follow your doctors instructions. Meldonium has not yet received dignificant clinical testing for side effects. 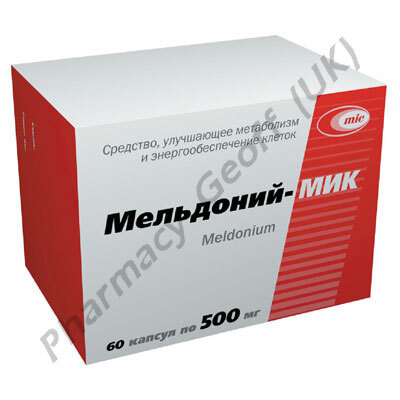 Because of the way mildronate works, you may notice dyspepsia, agitation, tachycardia, hypotension and pruritus while taking meldonium. If you are in a sporting environment where you may be tested for drug use, do not take Meldonium. WADA (the World Anti-Doping Agency) has added Meldonium to it's banned list, meaning it use is prohibited in most sports. Again, because of lack of clinical testing, there is a lack safety data available regarding taking Meldonium (Mildronate) if you are pregnant or breastfeeding. It is also unknown if it is safe for us in children. Do not use meldonium if you belong to these groups. 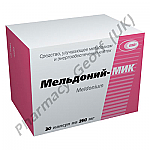 Some hypotensive drugs can have their antianginal effect increased by meldonium. Use Meldonium-MIC with caution if you are taking these.